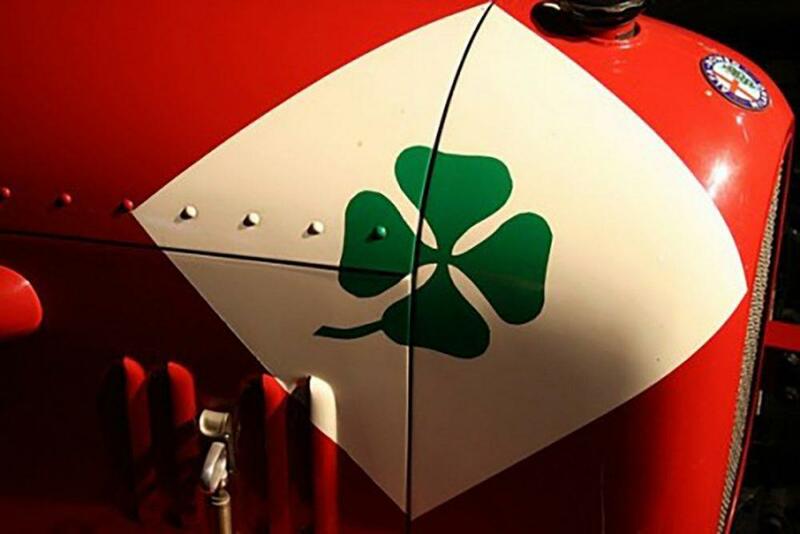 When it comes to the symbolism of red-blooded Italian racing and performance cars, the Quadrifoglio – or cloverleaf – stands for heritage and good fortune. The green four-leaf clover badging on an Alfa Romeo, and in turn Omologato’s newest wrist-wear, is a tribute to courage, speed and, specifically, a gentleman named Ugo Sivocci. He was, by all accounts, a deeply superstitious chap. The Italian was an Alfa Corse works driver alongside Antonio Ascari and his best friend, Enzo Ferrari. By finishing perennially second, though, Sivocci was convinced the gods were against him. The four-leaf clover, with its long-considered luck-giving properties, seemed to supply the extra fortune Sivocci craved. Four-leaf clovers are, incidentally, rarer than the three-leaf shamrock most famously attributed to the luck of the Irish by 5000/1. Ugo and Enzo went back a long way, and they weren’t short on imagination. Both were auto mechanics, and it was Ugo who first encouraged the young Ferrari to get behind the wheel of a racing car. Ugo’s place in history, therefore, must not be underestimated. 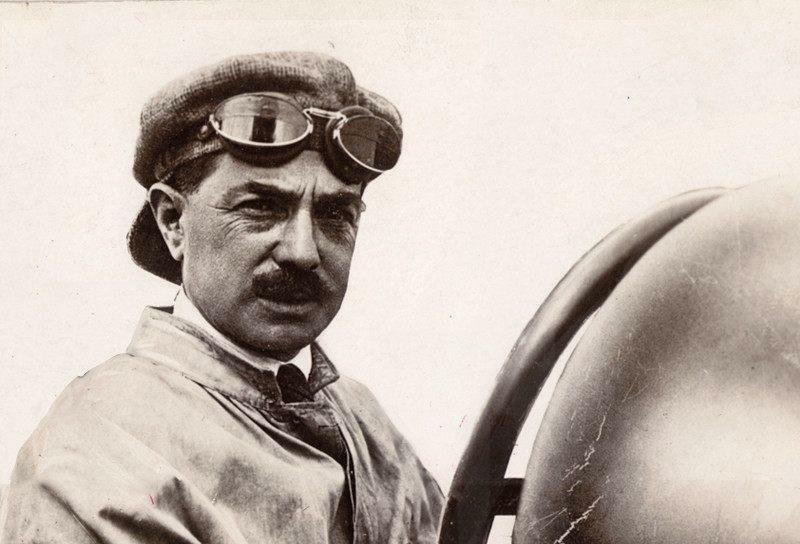 Once he’d begun to establish himself, Enzo invited Sivocci to join him at Alfa Corse in 1920. This was long before Ferrari produced a car in his own name, and Alfa were manufacturing the most formidable racing machines on the planet. The world’s toughest and most important race was the Targa Florio. Bear in mind that it wasn’t until later that Le Mans, the Mille Miglia and the grand prix world championship came into being. Nothing could match its prestige. The Targa Florio was the original sports car racing event, founded in 1906 and run through the arduous mountains, rustic villages and spectacular coastal roads of Sicily. Established by wealthy enthusiasts, the level of competition was advancing rapidly. As one of the home teams, Alfa was determined to take the spoils. 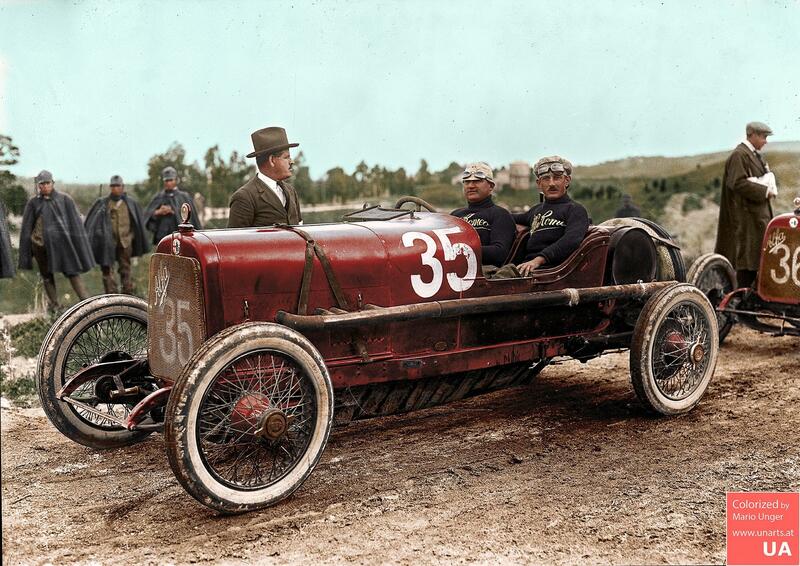 They’d been competing in the Targa Florio since 1911 but, despite their technical supremacy, had never won. That was about to change with Signor Sivocci. Sivocci had earned some coveted second and third place trophies, but the top step of the podium eluded him. He finished ninth in the 1922 Targa Florio, and so when he returned to Palermo in 1923 he was hardly considered the favourite to win, despite the pace of his Alfa Romeo RL. Believing he was every bit as good as Giulio Masetti and Antonio Ascari, the missing element had to be luck. So, with his superstitions bubbling to the surface, he whipped out a pot of white paint and a pot of green and slapped two Quadrifogios on the RL’s red nose. Sivocci won the Targa Florio that day, Sunday 15 April. He’d driven the four-lap race – 270 miles in total – in seven hours and 18 minutes. His average speed was 36mph. That mightn’t sound impressive in the modern era, but it was serious velocity given the technology of the time and the poor road surface. Sivocci’s skill had never been in doubt, and no longer was his fortune in question as long as he continued to paint the Quadrifoglio on this car. However, five months later when competing at the Italian Grand Prix in Monza, time got the better of him and he failed to administer his talisman before heading out to practice. No doubt, he’d have done so before the race but that was too late. His Alfa P1 flew off the track and the 38-year-old from Salerno was killed. A hero was lost, but tragedy served to crystalize the significance of the Quadrifoglio. Thus, a legend was born. Since 8 September 1923, the date of his death, all racing Alfas have worn the clover, but in a white triangle. The missing corner is a tribute to the loss of Sivocci. With Quadrifoglios proudly pinned to the bodywork, Alfa Romeo went on to become one of the most victorious marques in motorsport. They won the inaugural championship for grand prix cars in 1925, bearing the clover, as well as the first Formula One race and championship in 1950, with Giuseppe Farina in the 158. Juan-Manuel Fangio followed suit the following year in the 159. They won the Mille Miglia 11 times, dominating the pre-war period. They took four Le Mans wins, two World Sports Car titles and two European Touring Car crowns. Perhaps satisfying the memory of Sivocci the most, they won a further nine Targa Florios before the race was banned, as the casualties of road racing became too much to bear. But the tradition of the Quadrifoglio lives on, affixed to Alfa’s racing and performance cars while transfixing the imaginations of red-blooded aficionados, who thrive on the fumes of the Targa Florio and the Alfas that raced around it.